Home Entertainment Is Cinderella Really That Skinny? Is Cinderella Really That Skinny? 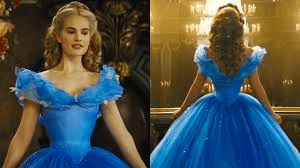 Rumor has it that images for Kenneth Branagh’s new version of Cinderella were edited to make the lead actress, Lily James’ waist look smaller. James is playing none other than the beautiful Cinderella. Speculations spread across a series of social media networks questioning if her body was digitally manipulated. James’ response was simple; she said her waistline appears extra small due to a corset as well as her naturally thin frame. Respectively, her waist was slimmed down to a tiny 17 inches due to the corset. Oddly enough, in addition to the speculations of Cinderella’s waistline, Prince Charming’s eye color is also under speculation by viewers. 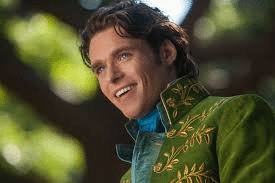 The rumors said that Prince Charming, played by Richard Madden, wore blue contact lenses to make his eyes appear bluer. Negative and hypocritical would be two of the best words I could possibly come up with to describe critic’s speculations of the new Cinderella; especially because they’re criticizing someone who’s playing Cinderella, the princess who went from the maid of a step-sister to a beautiful princess. I think that instead of nit picking something such as body image, viewers should be appreciating beauty and encouraging their young children to look up to Cinderella. With the negative publicity so far, I feel that James will need to speak out on healthy body image, and emphasize that each body is unique and beautiful . My names Kendyl. I'm a senior at Bloomsburg University. I am studying Mass Communications with a track in Public Relations. I'm a big supporter of our Bloomsburg Huskies athletics especially basketball and lacrosse!